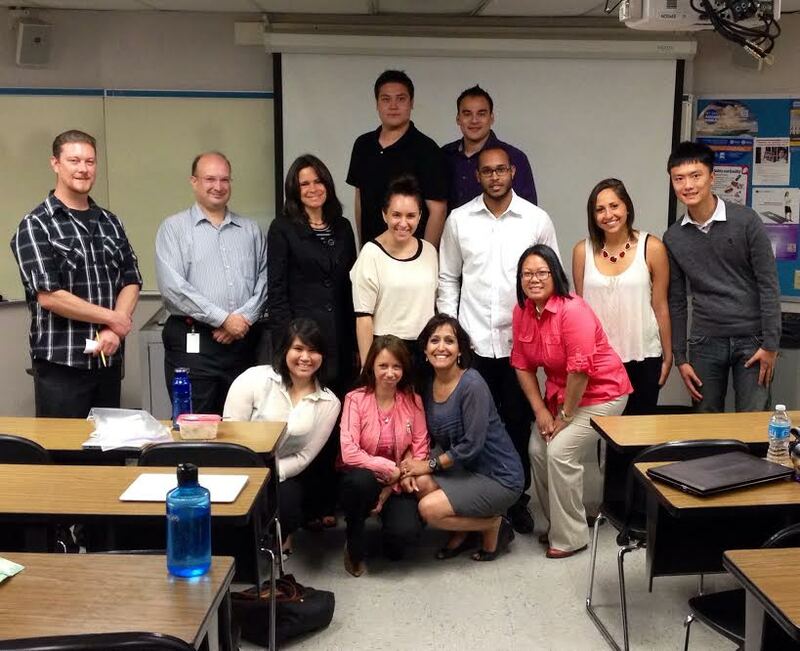 This year, UNLV is participating in the 2014 Google Online Marketing Challenge. With help from Dr. Anjala S. Krishen, Associate Professor for the Lee Business School Marketing & International Business Department, the students get a unique opportunity to experience and create online marketing campaigns using Google AdWords and Google+. One UNLV team decided to use the $250.00 spend to help Street Teens, a 501(c)(3) nonprofit organization established as a volunteer program to serve Las Vegas’ homeless and at-risk teens ages 12 – 21. The UNLV student team explains the main challenge they have faced is getting people to click on search ads about this particular nonprofit. The team says that another challenge they have faced during this project is setting up a silent auction for the non-profit organization in such a short period of time. Not only are the UNLV teams doing online work for the organizations, but also trying to foster community connections in person through a fundraiser. The obstacles for the event planning include finding a location to host it and getting item donations for the auction. They say locations are either fully booked, don’t allow others to raise money, or charge to set up fee. The team working with Street Teens says they have been most surprised by the amount of cooperation from the staff at Street Teens. The students say they have learned non-profit advertising is very different from traditional marketing because it is a lot more difficult to target a specific group when you want to capture as much attention as possible. The team says they believe the work they are doing for the 2014 Google Online Marketing Challenge can help Street Teens by laying the groundwork for them to market themselves both online and offline and providing the group with some organizational structure. At this time, the student team is just in the first week of their AdWords campaign and are trying to gather some donations for the silent auction. “We plan to hold a donation drive to gather nonperishable foods, clothes, hygiene products, etc. at the UNLV courtyard on May 7, 2014. After the campaign is over, we’ll present the results to Street Teens and sit with the director to ease the transition by teaching them how to use these online tools. We will also provide them with some recommendations for what we feel they should do to get their mission out there,” said UNLV student Wanda Inthavong. About Daniel Ayersman: My name is Daniel Ayersman and I’m a senior at UNLV majoring in Marketing. I was born and raised in Seoul, South Korea before calling Las Vegas my home in the summer of 2009. After taking courses in Internet Marketing and Marketing Research, I’ve become very interested in research and analytics, particularly when it comes to consumer insights. I plan on starting my MBA in the spring of 2015 at UNLV while hopefully working in marketing analytics. About Alvin Ko: My name is Alvin Ko. I’m a senior at UNLV majoring in Economics. I was born and raised in Hong Kong. I have also lived in Chicago for 4 years before calling Las Vegas my home in 2009. I have a fascination with data and using data to discover hidden insights, therefore economics is a natural fit for me. I am looking forward to a career in decision science and business intelligence after graduation. About Wanda Inthavong: My name is Wanda Inthavong and I am a senior at UNLV majoring in Marketing. Being a military brat I was born in El Paso, TX and was given the opportunity to travel to other parts of the nation as well as Europe. I became a resident of Las Vegas in 1994 and found a love for event and experiential marketing, which led me to where I am today. After graduation I plan to pursue a PhD in Marketing as well as to further cultivate my skills and knowledge with a company which focuses on event and experiential marketing. About Brittany Cohen: My name is Brittany Cohen. I’m from Philadelphia, Pennsylvania and I’m a Psychology major with a double minor in Marketing and Entrepreneurship. I plan to go to law school and my goal is to become a patent attorney. I chose psychology as my major because I feel like the concepts and philosophies affiliated with interpersonal and intrapersonal relationships are critical in all relationships: personal, professional, and recreational. I am utilizing my knowledge in marketing and entrepreneurship studies to eventually be able to market my services as an attorney. About Anjala Krishen: I worked in Information Technology positions full-time for 13 years after completion of my Electrical Engineering degree from Rice University. I am now an Associate Professor at UNLV.